Vivocity: One of the main shopping centres located in the heart of Singapore, Vivocity was amazing! The MRT (metro/subway) is directed attached to the mall making it super easy to get here. There were some very similar stores to what we have in Canada, and some that were completelly different. 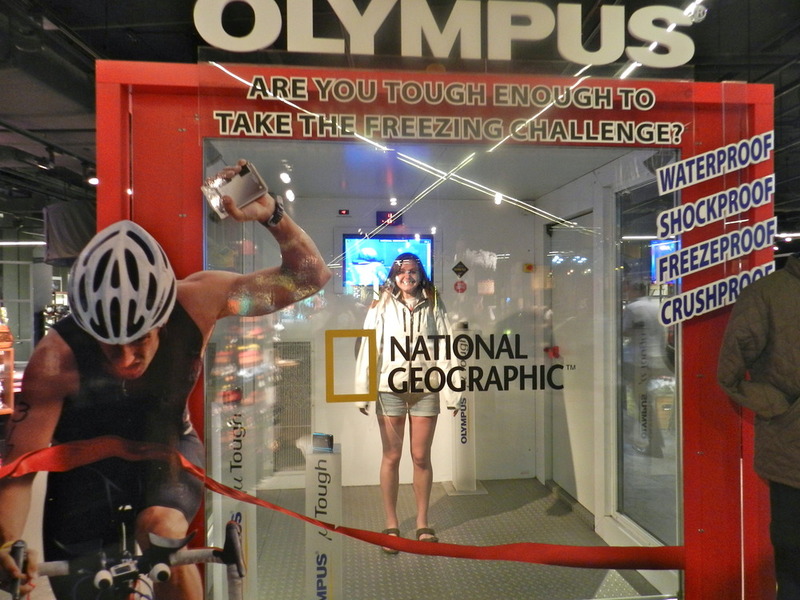 My favourite store however was the National Geographic store. Located inside was a Freeze Chamber, where you could pay $1 SGP to stand inside as the temperature dropped to below -10 degrees celcius with the additon of severe winds for 1 minute. For many Singaporians, this would be extremely unBEARable, but for myself a Canadian used to extreme temperatures, it was a piece of cake. 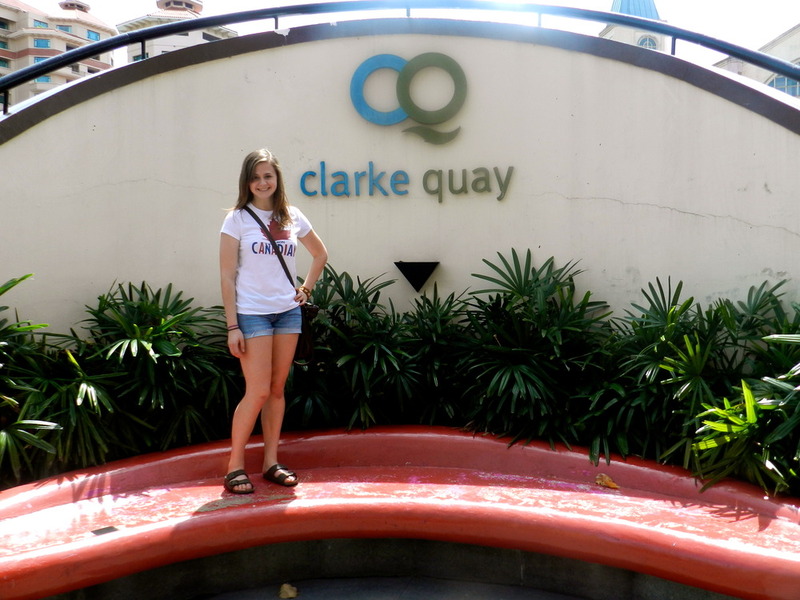 Clarke Quay: The “downtown” area of Singapore. Many shops, restaurants, bars, and cafes are all centred here. As soon as we crossed the bridge, I spotted this tall metal structure with a ball attached by two bungy cords. 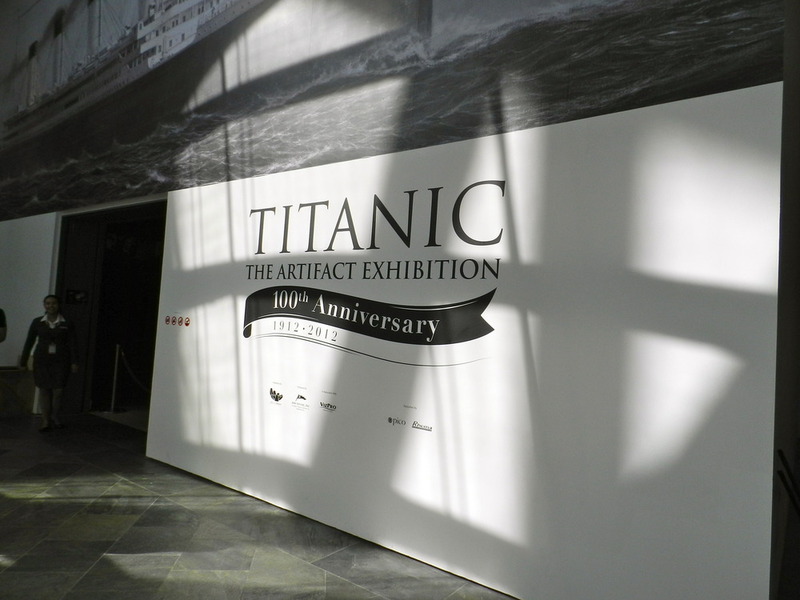 Looked pretty scary and adrenaline pumping… I was so there! For $30 SGP, Justin and I were able to be launched 60metres in the air at 200mph in the GMAX Bungy stunt. It was AMAZING, and definately set the pace for the rest of the day!!! Chinatown: I have never been to a Chinatown, even in Downtown Toronto, so experiencing a “real” Chinatown for the first time was overwhelming. On a Friday afternoon, this place was packed! 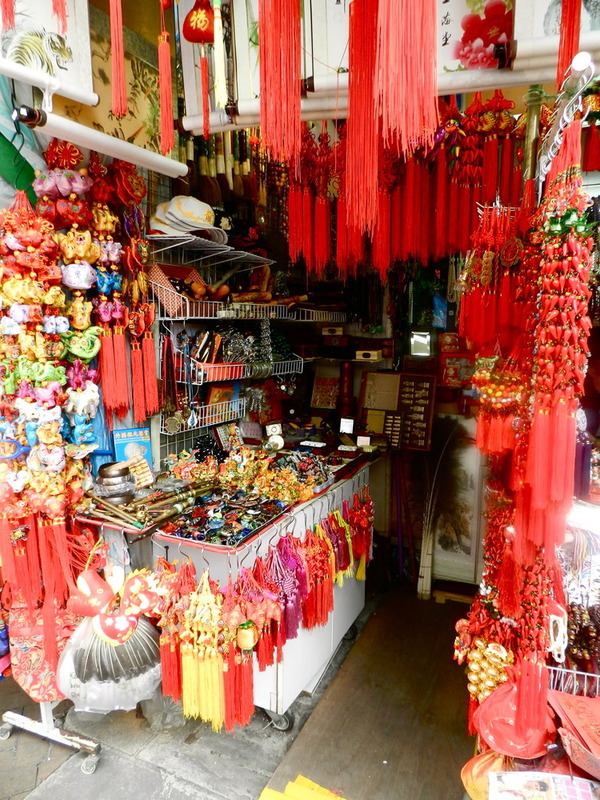 Filled with jewerly shops, food markets, clothing booths and decorative pieces, there is something for everyone. I bought a few decorations for my new room in Australia, to remind me of my time in Singapore. Having Justin around was definately beneficial, he is experienced with dealing with the bargaining with the shopkeepers. 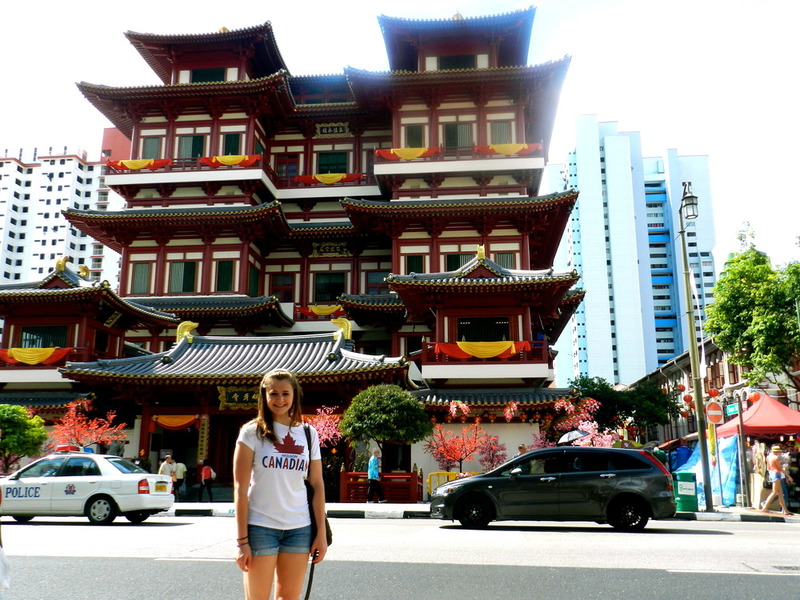 Throughout Chinatown, there are also various temples that are beautifully decorated. Before entering you were instructed to take off your shoes, and to cover your legs. I didn’t get the memo about covering my legs, and a worker ensured I leave or cover up. woops! 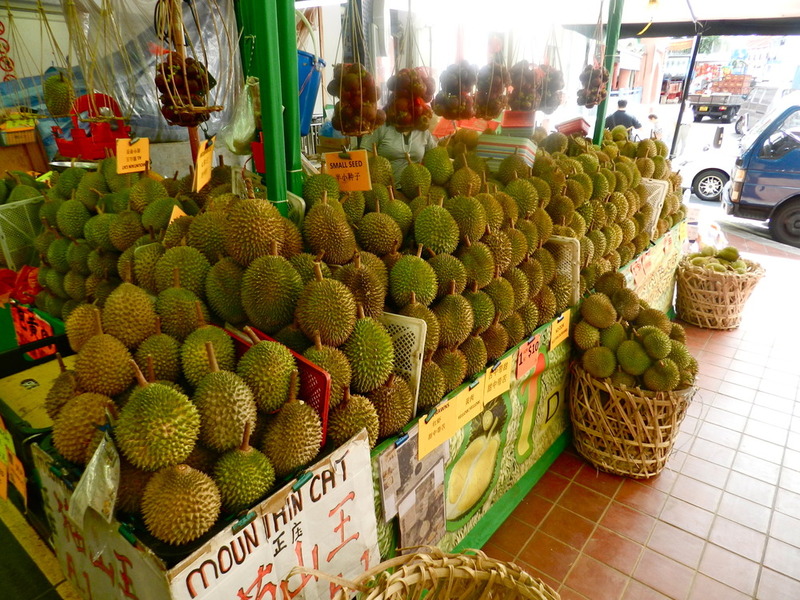 Something interesting I learned while in Chinatown is it is illegal to bring the fruit below on any form of public transportation. The reason being it gives off an awful smell, and is unpleasant for other customers. Marina Bay: The second last stop on our day trip was to Marina Bay. From all the pictures that Justin had posted previously I was so excited to see this place myself. 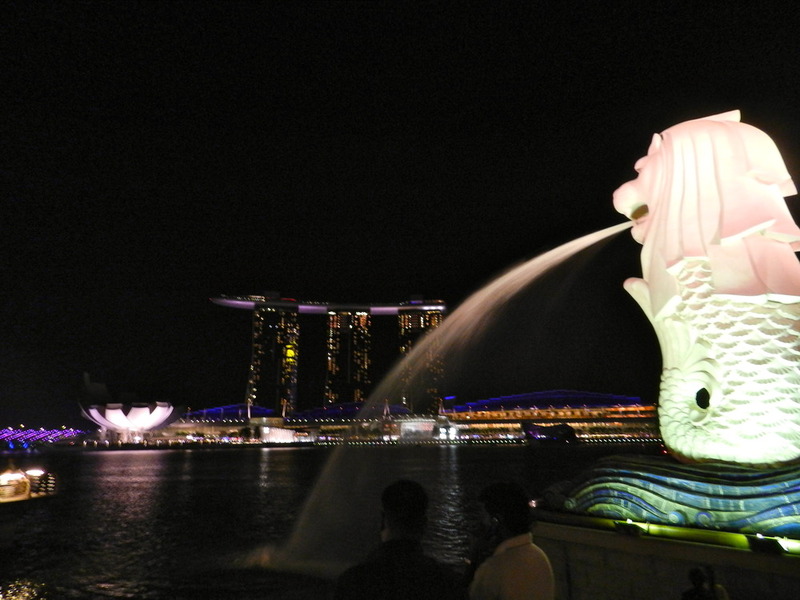 The itinerary for Marina Bay included the Marina Bay Sands SkyPark, the ArtScience Museum with included the Titanic 100 year Anniversary Exhibit, and the Merlion. We met up with a Axel, a swedish exchange student and started our tour. 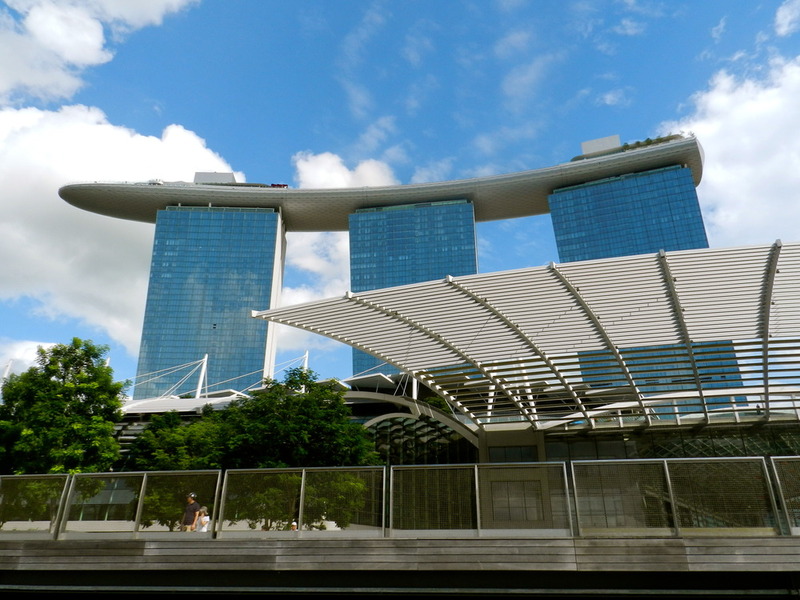 Marina Bay Sands is one of the most expensive hotels/resort/casinos in Singapore averaging around 500$+ a night. It is a very iconic structure as there is a large cruise ship located on top, making it a very distinct landmark in the country. 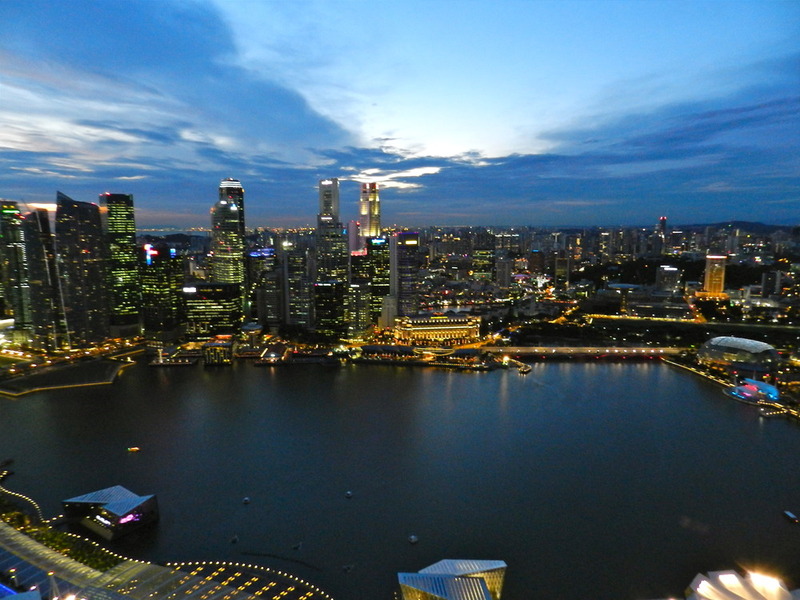 The SkyPark was so cool. You were able to take an elevator 57 floors up and get a glimpse of the skyline from the boat. It was a panoramic view that can’t be described with words, or even multiple pictures. Clementi: After a long day of sightseeing, it was time to head home… but not without a stop at the Clementi Mall to grab some “party needs.” 5 cases of Tiger Beer later, we made it home safe and sound. I can’t wait to start my next couple days in Singapore before we head over to Bintan Island, Indonesia to lounge for a few days!